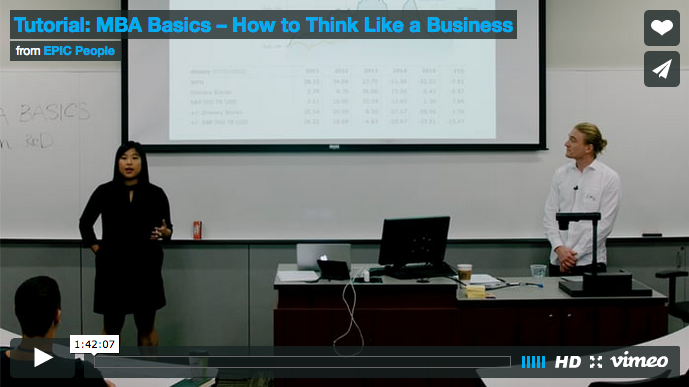 This tutorial will provide you with a foundational understanding of how businesses operate from financial, organizational, and strategic standpoints. However, rather than providing you with only a list of terminologies or a toolbox of frameworks, the goal of this course is to help participants gain an intuition around how to think like a business – especially when coming from a social science background and practice. Participants will leave with a basic understanding of how businesses think and operate, and how that in turn can impact how they think and operate as a social scientist or ethnographer. Carolyn Hou is a cultural anthropologist and strategy consultant at ReD Associates. She has extensive experience advising Fortune 500 clients working in healthcare, consumer goods, consumer electronics, telecommunications, and automotive industries. Hou completed her graduate degree in Social Anthropology at the University of Oxford, where she also served as President of Oxford Women in Business. Emil Stigsgaard Fuglesang is a political economist and strategy consultant at ReD Associates. He previously worked as management consultant at the Scandinavian company QVARTZ advising government and private organizations on strategy and operations, and he has assisted mergers and acquisitions in several different industries, including finance, media and construction. Emil completed his MSc in International Business and Politics at Copenhagen Business School (CBS) and Columbia University, and President of the student union at CBS.